By August 1988, Al Collins record stood at 5-5. In this early August game, he pushed that record to 6-5 - by throwing a no-hitter. Collins went the distance, walking for and striking out 11 as Collins and his single-A West Palm Beach Expos won the game 1-0, according to The South Florida Sun-Sentinel. Collins threw that no-hitter in his sixth season as a pro. He played two more seasons, making it briefly to AAA, but never to the majors. The Ohio-native's career began in 1983, signed by the Expos as an undrafted free agent. Collins is also known by his full name, Allen Collins. 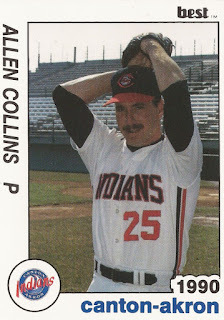 Collins started with the Expos at rookie Calgary. He went 5-3 in 15 outings, seven starts. He moved to short-season Jamestown and single-A Gastonia for 1984 and then back to Jamestown for 1985. Collins made it to West Palm Beach in 1986. He then stayed for three seasons. He posted a 3.75 ERA in 26 outings, four starts, in 1986. He picked up a relief win in a May game. In 1987, Collins picked up two saves for West Palm Beach, his second in a May game. His ERA came in at 3.15 that year and then 3.75 in 1988, but he never saw AA for the Expos. 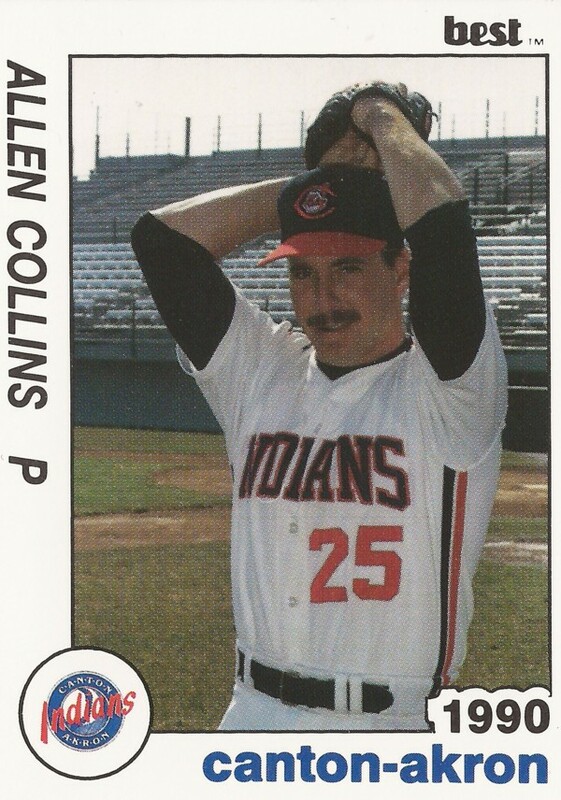 Collins moved to the Indians for 1989 and AA Canton-Akron, but he only got 11 outings, three starts. He returned to Canton-Akron for 1990. He gave up a three-run home run in a May game. Overall, he got into 37 games at Canton-Akron in 1990 and one at AAA Colorado Springs. He had a 4.15 ERA. It was his final season as a pro.